Here is this month's kit!! Love it!! 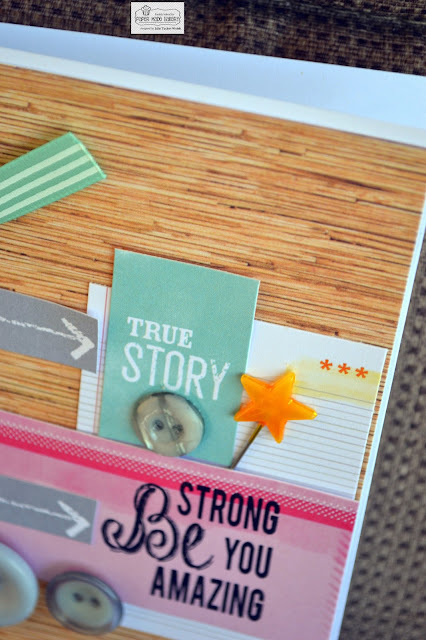 Really nice strong card to match the sentiment...love those arrows!!! This is Fab... Love the "strong" words and the card speaks for it self... Love it!!! Terrific and fun card, Julie! This is so cute! I love the combo of papers and love how the arrows point straight to the sentiments. Loving the trio of buttons, too! 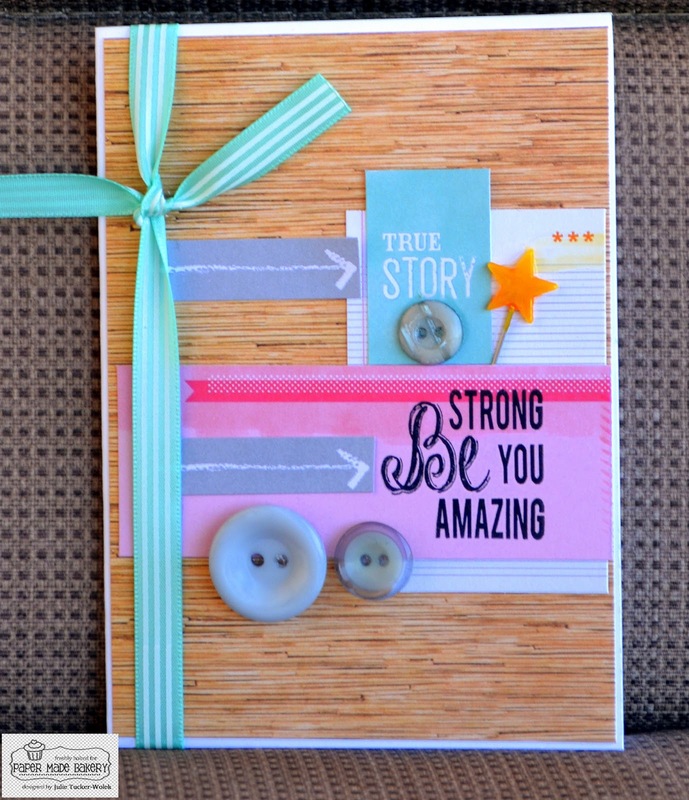 Fabulous woodgrain background, Julie; and I'm lovin' all the bold, bright, happy colors popping off of it! Awesome card Julie!! Love the fun mix of colors on the wood grain!! super cute Julie LOVE it!!! 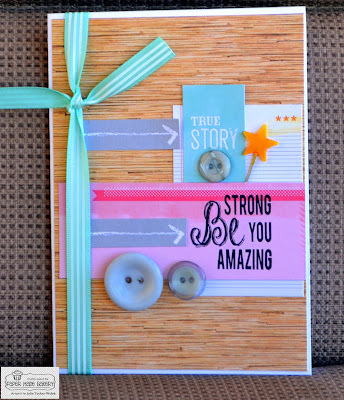 Love the woodgrain paper and the ribbon. Fab design! What an awesome card Julie! Love the woodgrain! So pretty, Julie. Love the sentiment! Very pretty card! Love that background paper! Love the happy colors! Woodgrain background is the perfect backdrop! Julie this card is so FAB! LOVE all of the papers and details and that wonderful sentiment!